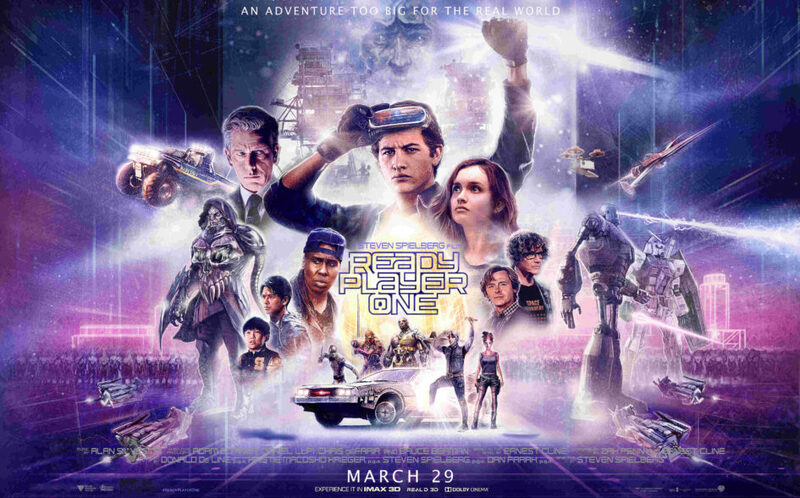 Steven Spielberg’s new blockbuster, “Ready Player One” (RP1) is a return to form which trades on around a million (very knowing) 1980s pop-culture references, while also managing to connect those references to a larger narrative about future society and how it should best be managed. You can find a full description of the film’s plot here. The essential logic underlying RP1 is that games matter. 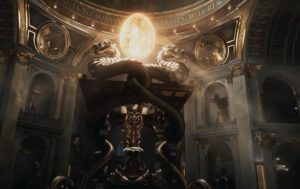 Events and entities within games may be fictional, but they can have consequences serious enough to raise the question: In what senses can fictions also be realities? That, of course, is a theme which I have covered from multiple angles, in TNET articles such as this one about gamification, and this one about religious belief. Within the fictional universe of RP1, the game stakes have risen so high that the second most powerful company in the world devotes much of its resources to solving puzzles in gameworlds developed by the first, in the hope of making a lot of money and winning a controlling stake in that pole-position software company. The real-world stakes of these games naturally leads to real-world social injustice of several particularly brutal varieties. It is easy to lampoon the notion of Social Justice when so many so-called “Social Justice Warriors” take the logic too far, undermine its founding principles with their fanaticism, and generally turn the whole thing into a painfully bad joke, easily attacked by other bad-faith players on the political scene. For that and other reasons, many technologists, Futurists and Transhumanists prefer to avoid issues of politics, economics, or societal ethics as much as possible. At the heart of the matter, however, the intersection of the Futurist worldview and questions of proper social management are critical to the health of our societies, and indeed the survival of Transhumanism… and potentially even of society itself. After all, if Transhumanists and other technologists become complicit in technologically-empowered oppression of the populace, then it cannot be surprising when Transhumanism finds itself on the losing side of a war with a large number of very angry people. People who have lost everything, including any reasonable shot at a future of their own, will not care much about nice words or good intentions. As is illustrated well in the fictional milieu of RP1, broadly speaking there are two ways to use technology. You can use it to empower and enrich people, or you can use it to exploit and control them. Transhumanism has long adopted the language of the former position, but unless it explicitly works toward social justice as part of the Transhumanist vision (as is found within Social Futurism and Techno-Progressivism), then it will have implicitly taken the latter position. It will have chosen a side – the losing side – and everyone will know it. A Note on Convergence: Where have all the AI gone? As a relevant aside, it is worth noting something interesting about RP1 and other recent science fiction movies. Almost all such movies pick a ‘technology of interest’ such as Virtual Reality (in the case of RP1), Artificial Intelligence or nanotechnology (as in, among others, Transcendence), and ignore most or all other technologies which could (and would) complicate the situation. This is a necessity of script writing and the need to retain narrative coherence, of course. In many cases, potentially complicating technologies are simply not anywhere to be seen in the fictional worlds presented on screen. As any true Transhumanist and indeed every Singularitarian knows, technological convergence is critical. Convergence and acceleration, together, are the reason why a Technological Singularity is thought to be unpredictable by mere mortals. Human beings simply cannot know what evolutionary interactions might occur between different technologies over what is effectively a twenty thousand year span, at the rate of technological development circa 2000 CE. Ready Player One is a great movie, lots of fun, especially if you love gaming, light-hearted sci-fi, or 80s references. Like the novel it is based on, it boldly illustrates the potential real-world importance of games and fictional constructs. The movie also highlights the question of social justice, with a particular emphasis on our responsibility to use technology to reduce injustice, not to make it worse. Perhaps most interestingly, the movie does not take into account the importance of acceleration, convergence, and unpredictability… which together act as a catalyst making the film’s central message all the more important: That imaginative play is the very stuff of life itself, and it can help us surf life’s challenges and surprises. *This article accompanies the TNET FRAME piece “Ready Player One: AR Gaming meets Transhumanism”.